The embattled Navajo Generating Station in Arizona might, indeed, make it past 2019. The coal-fired power plant is slated to close come the end of that year, after its owners decided their money would be better spent elsewhere (like on natural gas). However, leaders of the Navajo Nation, which is rooting for the plant to stay open and keep their members employed, have found a buyer, according to the Associated Press. The tribe is currently negotiating with Avenue Capital, an investment firm based in New York, to purchase the power plant while having its subsidiary, Middle River Power, operate it. Navajo Nation President Russell Begaye told government representatives Monday the tribe is working on finalizing an agreement by October, per the AP. This development could actually keep the largest coal plant in the West open. Especially since the Kayenta Mine, which supplies the plant, plans to stay open too: A key federal permit isn’t up until July 2020. Some environmental groups have taken issue with that, suing the Department of Interior in June to begin cleaning up the mine. 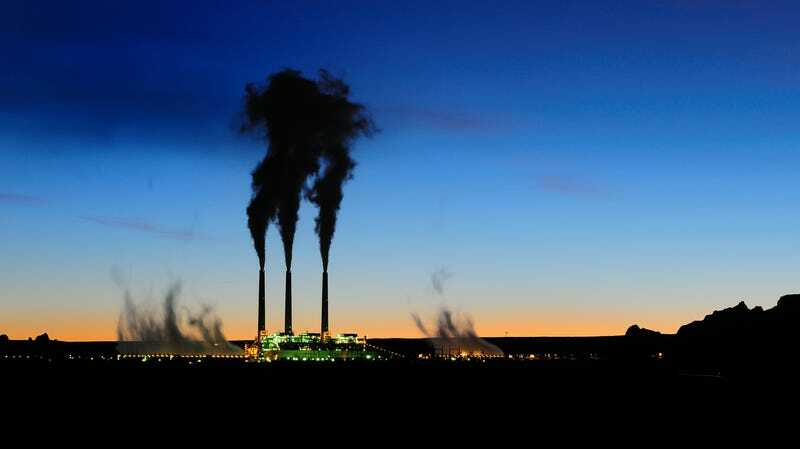 The situation for the Navajo Generating Station hasn’t looked too good up until now. The plant’s main customer, the Central Arizona Project (CAP), which distributes water throughout the state, is looking to replace this key power source with solar. The Navajo Nation and Hopi Tribe—both of whose members are employed heavily by both the Kayenta Mine and Navajo Generating Station—have gotten so desperate that they’ve approached Congress a number of times asking them to intervene. Who can blame them? President Donald Trump promised a future for coal. In June, the Department of Interior was looking into whether it should apply pressure to CAP to purchase its energy from the station. Still no news whether that’s happening, but as this latest development shows, the tribal nations are actively pursuing other options for keeping the plant open. Their economies are on the line. Eighty percent of the Hopi Tribe’s general budget comes from coal with individual salaries ranging in the $100,000s. Despite the negative health and environmental impacts of the coal power plant, money talks. Sigh.